The Penguin Chair designed by Ib Kofod-Larsen. Excellent restored condition. 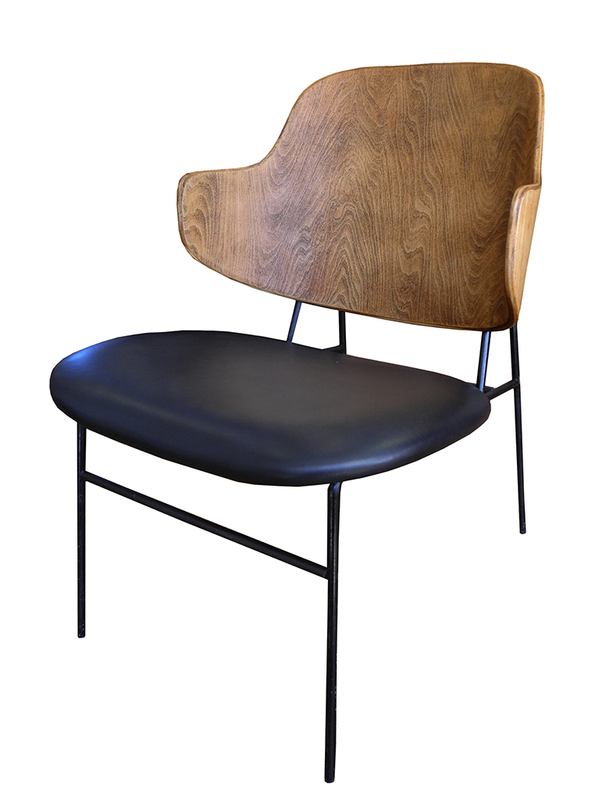 Iron frame, bent birch ply curved back and black goatskin seat. 28.5" h x 21.5" w x 24" d. 16" seat height. Denmark, 1950s. SOLD PS. Goes well with LUSH instrumental music.